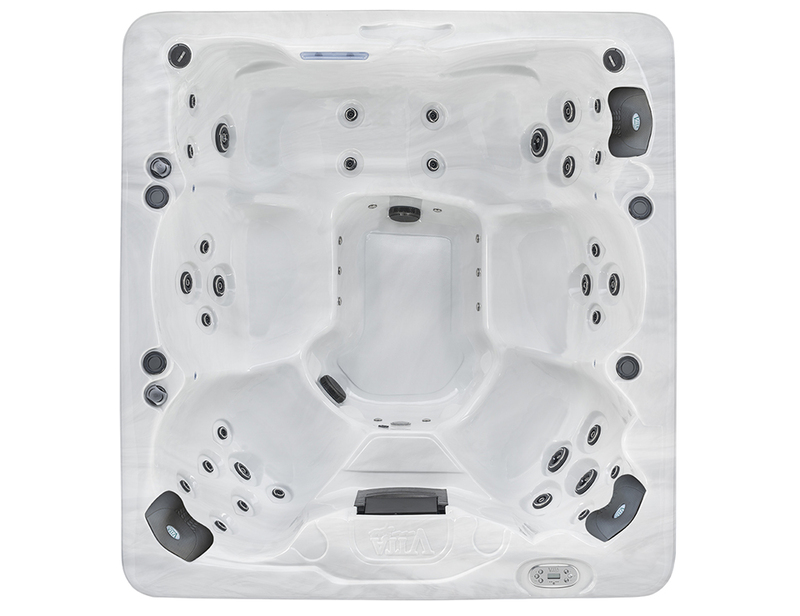 Vita Spas are built in Arizona in the USA. 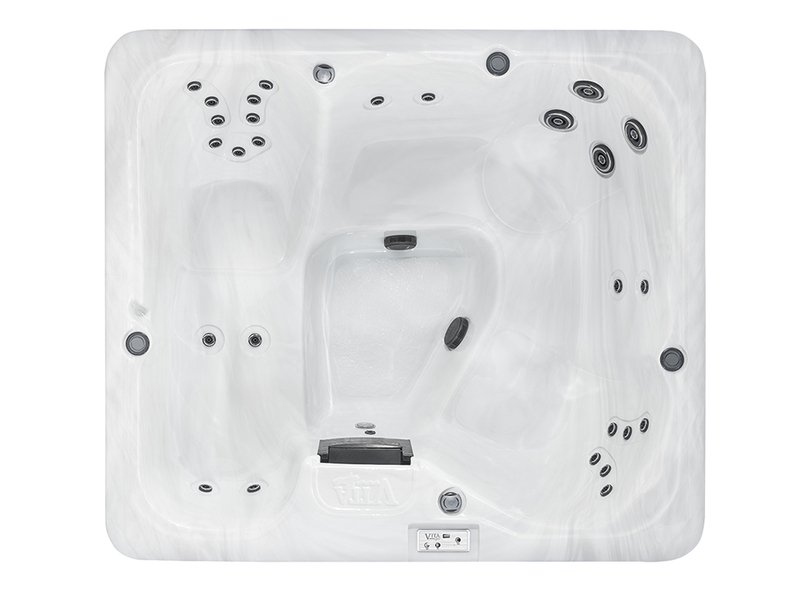 For over 30 years Vita Spa™ has been synonymous with quality, comfort and innovation. 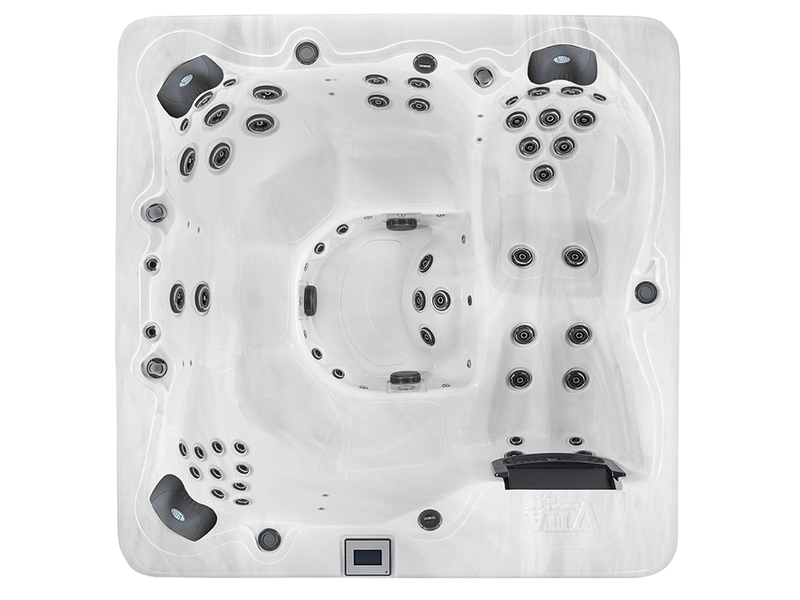 Whether you are looking at a value for money model from the 100 series or a technology feature rich model from the 700 series Vita Spa will provide you with Vitality for Life! 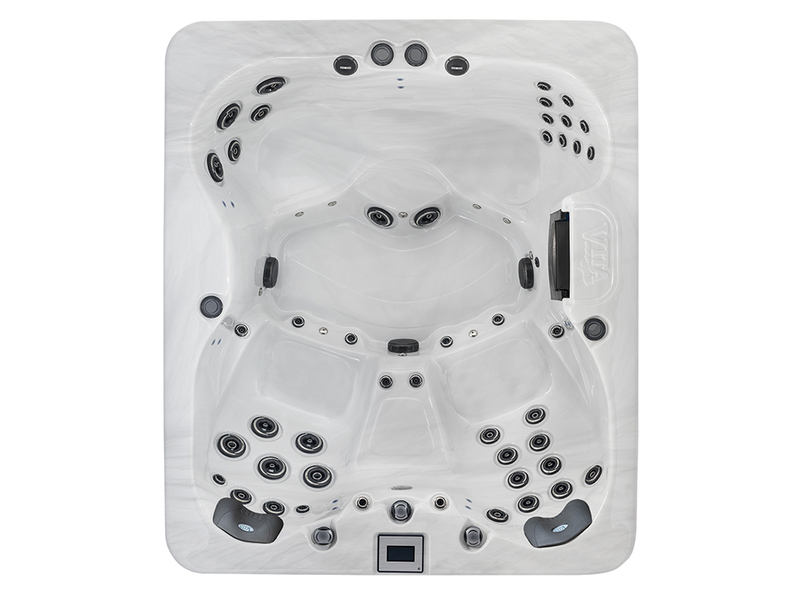 Whether you are looking for a top end, high spec Hot Tub or a more economical low cost version, Vita Spas, USA produce a large range of beautifully manufactured Hot Tubs, Jacuzzis and Spas loaded with features and specs to suit all needs and budgets. 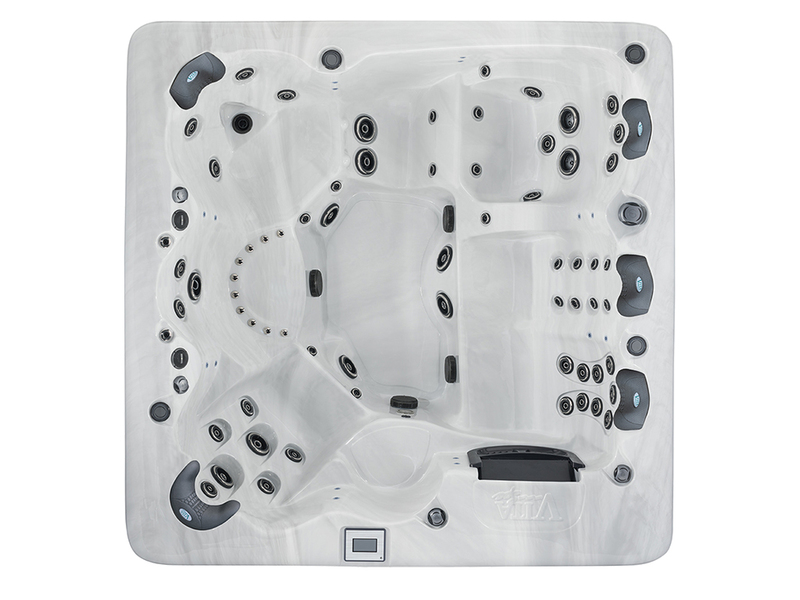 The steel structure and Northern Exposure® Insulation System design in the 500 and 700 Series hot tubs allows for complete service of the entire structure and all mechanical parts. 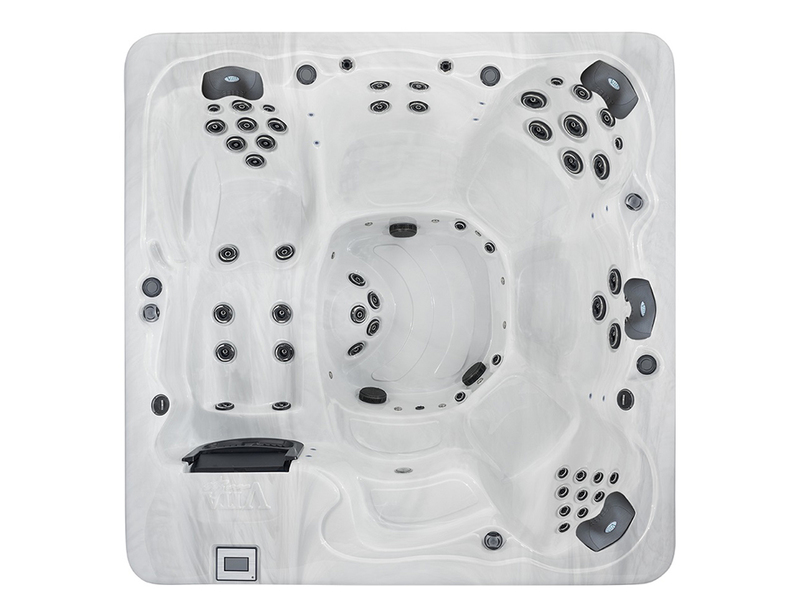 Essentially the spa can be serviced and brought back to factory specifications in situ throughout its lifetime. 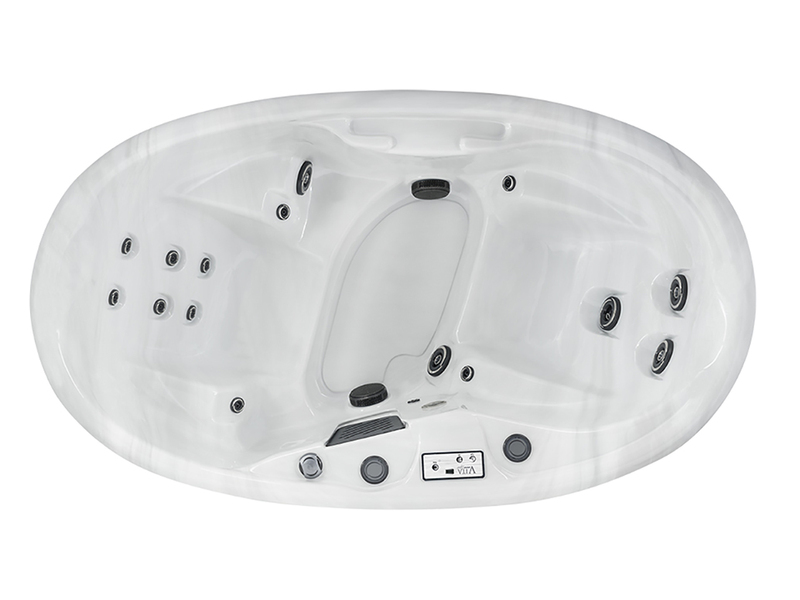 Vita spa call this feature “appliance grade” and it is important to consider the serviceability of your hot tub, just as you would in any other home appliance. 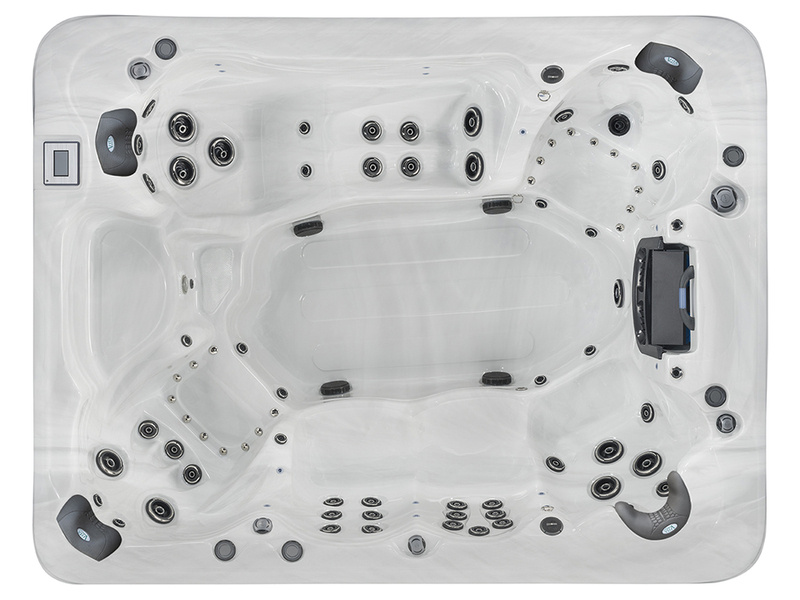 Standard on all 500 and 700 Series spas Northern Exposure® is the ultimate hot tub insulation system. The unique thermal barrier technology recycles the free heat energy to get more efficient heating and lower energy costs. All four sides of the spa, plus the floor and cover are lined with reflective copper material to reflect radiant heat energy generated from the pumps back into the spa. Heat is absorbed back into the plumbing helping to raise and maintain water temperature. 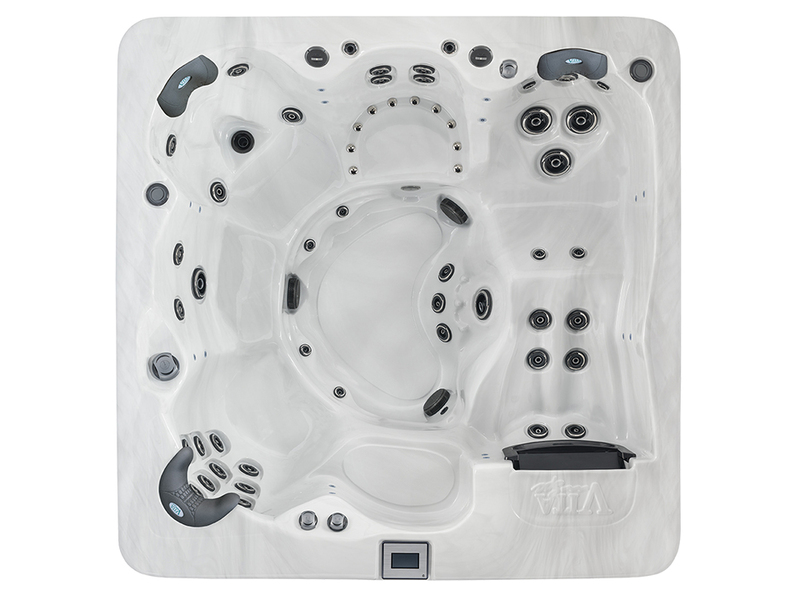 Finally the entire exterior of the hot tub is wrapped in 3M™ Thinsulate™ Insulation, the same incredible material utilized in winter clothing. 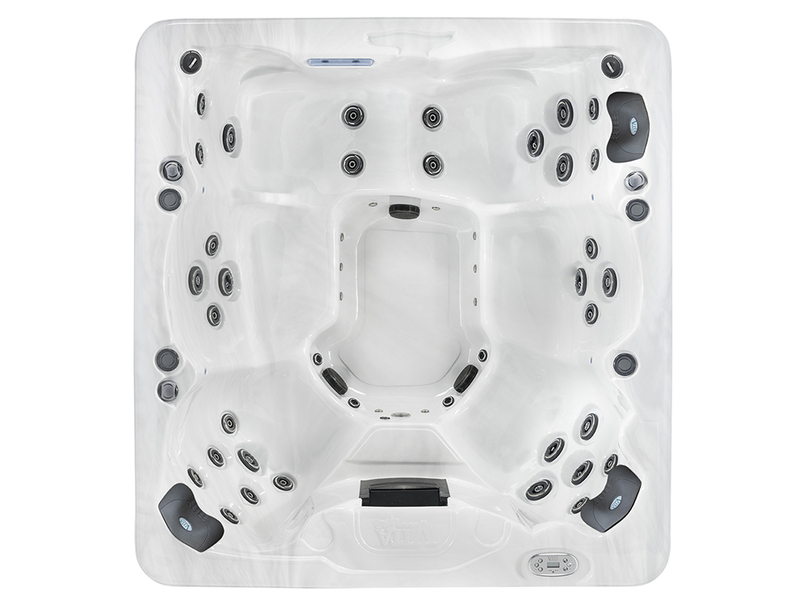 This three layer patented system ensures energy created by the spa stays in the spa. 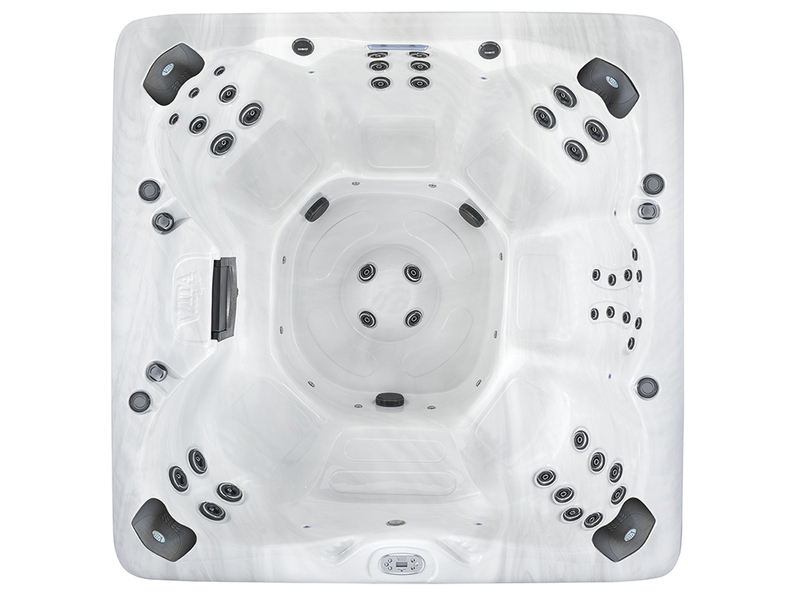 The same insulation that makes a Vita Spa hot tub energy efficient also aids in its quiet operation. Sound energy is trapped and deadened inside the spa by the thermal barriers, essential to ensure a peaceful and relaxing experience. DuraMaax™ is a state of the art wood-alternative material that has the look and feel of natural wood, without the maintenance. The material is impact resistant, impervious to weather or insect damage and will never splinter, crack or rot. The attractive exterior locks in heat and seals out cold air – providing a beautiful look and feel. 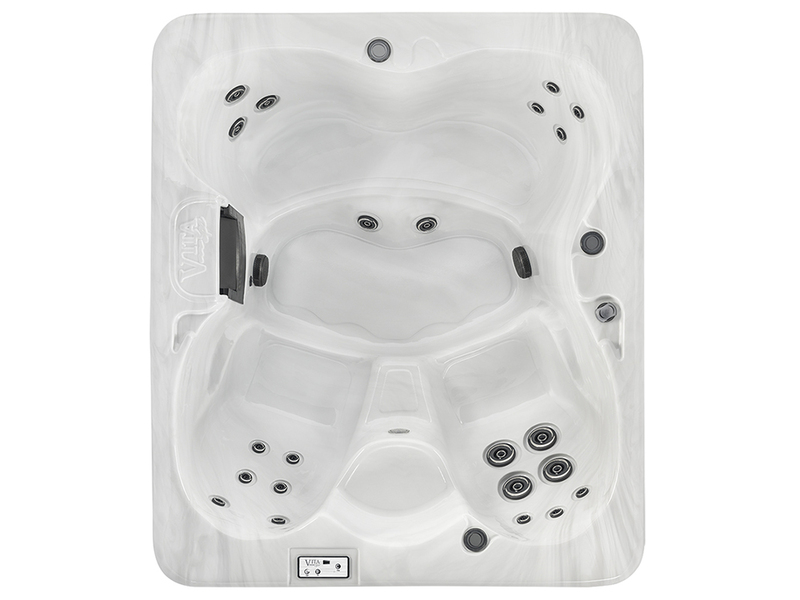 Every Vita Spa hot tub has an attractive interior finish made from continuous cast acrylic. The hard, non-porous surface resists stains, fading, scratches and chemical abuse. With the look of granite, pearl or metalescence, the extremely rugged and durable finish offers beauty and peace of mind. These are all great value single pump spas that will run on just a standard household 13 amp socket for easy low cost installation. 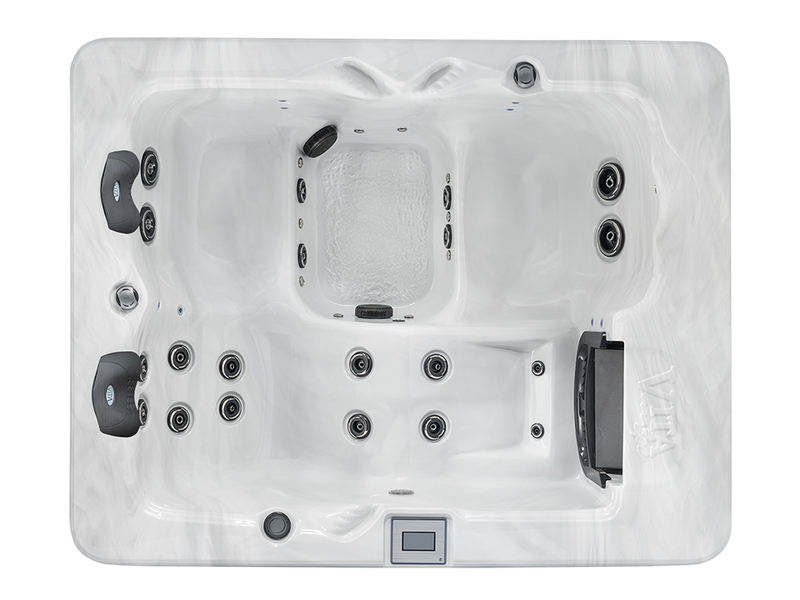 Even the 100 Series spas come with the great, award winning, Blue-maax insulation – recycled denim and copper lining to give you exceptional heat retention for low running costs. 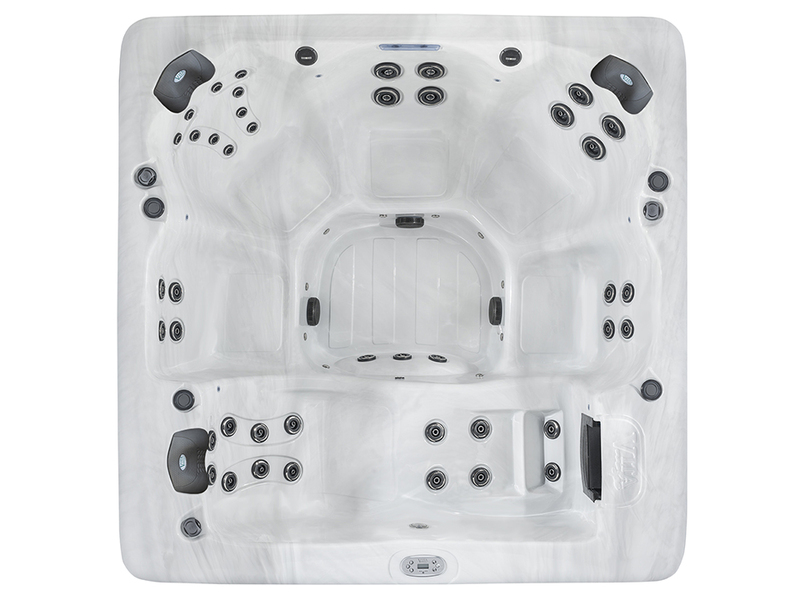 The Amour and Intrigue are both 1 pump spas that will run on just a standard household 13 amp socket for easy low cost installation. The Elegant, Sensation and Luxe models require 32 Amp supply. 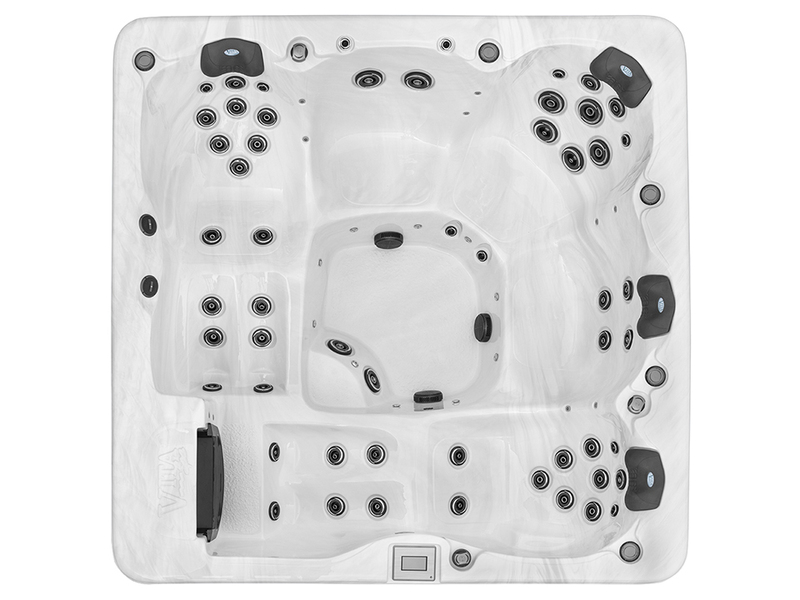 Even the 300 Series Spas come with the great, award winning, recycled copper backed Vital Energy Insulation System to give you exceptional heat retention for low running costs. 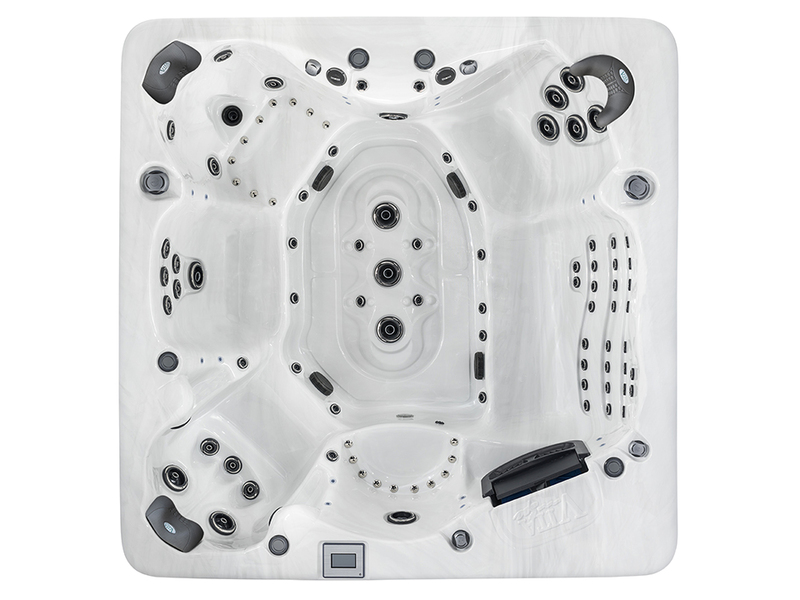 The 500 Series offer a higher build quality for those customers wanting something with a bit more power and performance. 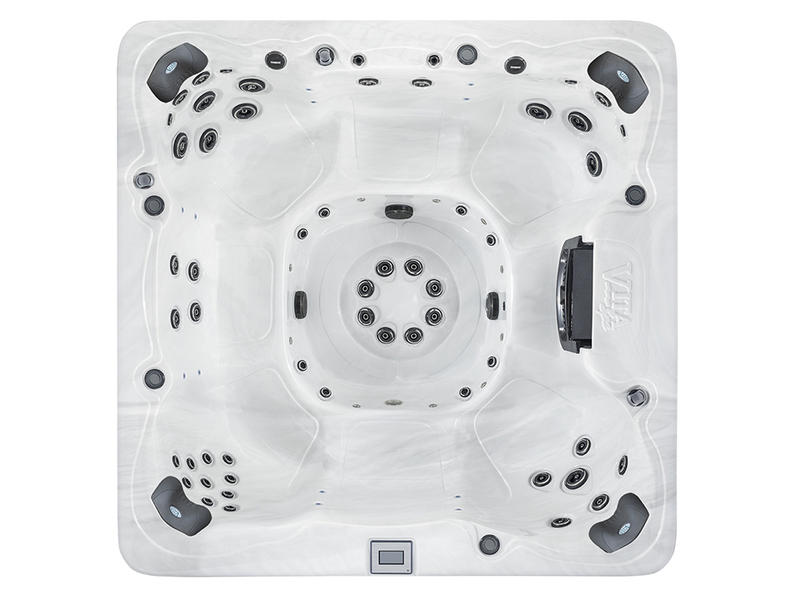 All the 500 Series models benefit from the Steel Frame Construction with lifetime warranty. Fitted with the latest Advanced Touch Screen controls and benefit from a Bluetooth music system (except Trio) with 2 shell speakers and 150 watt sub-woofer for a truly great quality sound. 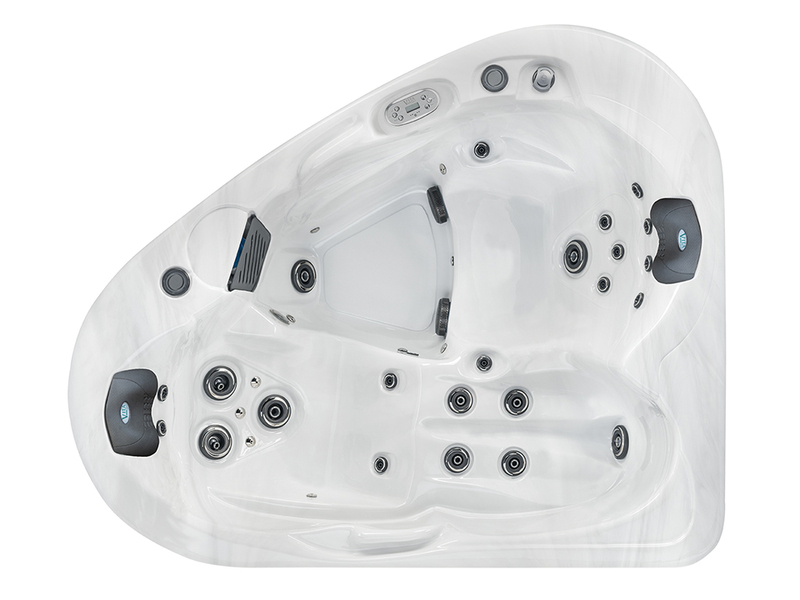 The 700 Series are the ultimate in spas, packed full of features, more power, complete water management systems, surround sound stereo systems with subwoofer, unrivalled all over massage and outstanding construction. 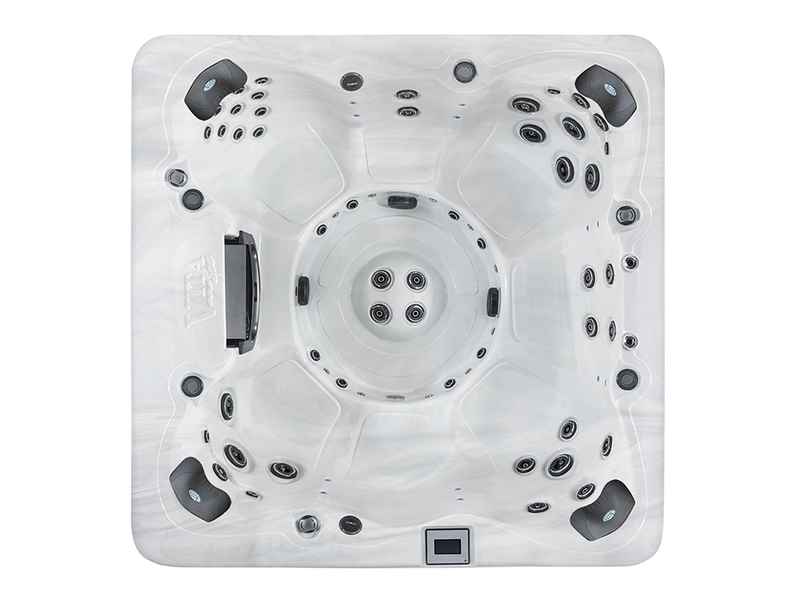 Standard on the 700 series is a UV & Ozone Water Care system that gives sparkly clean water and easy maintenance. 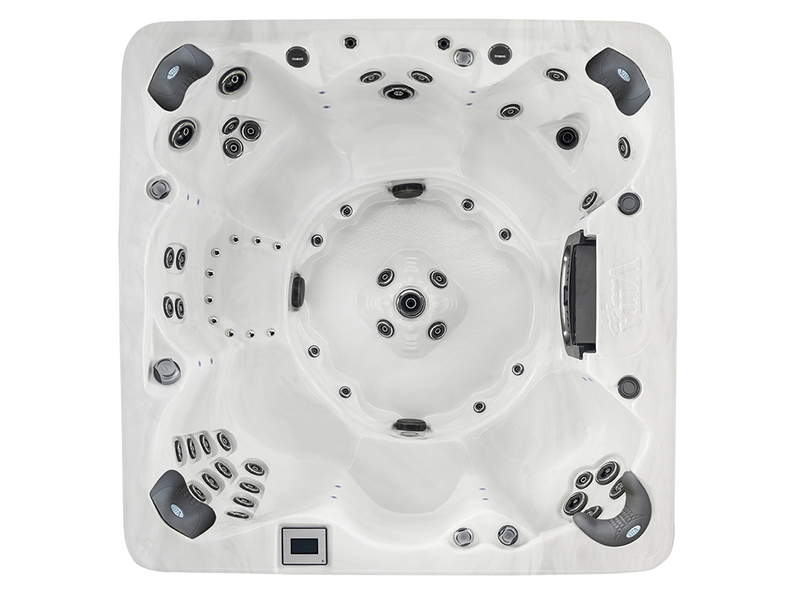 The Surround Sound stereo has MP3/Bluetooth with Poly Planar Shell Speakers and sub-woofer. 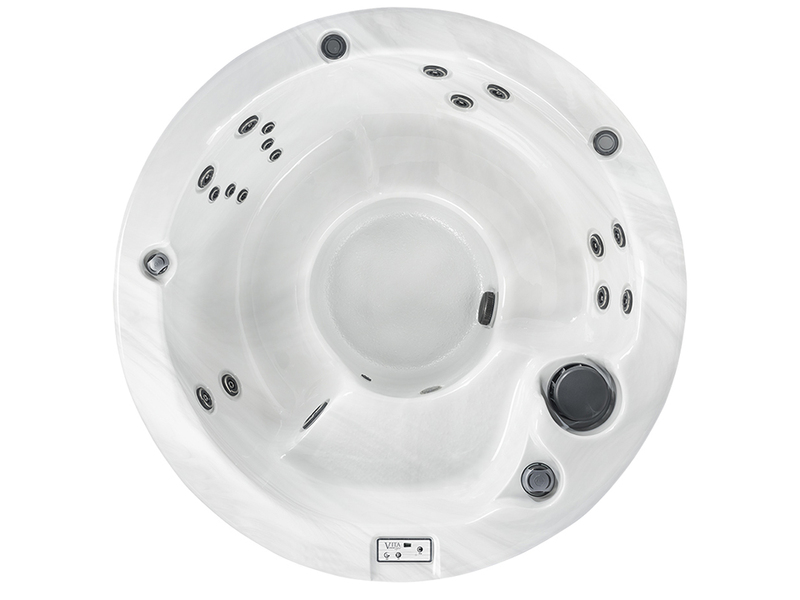 Whatever the mood the Vita Spa 700 series has it covered. For the real spa lovers that want the very best!